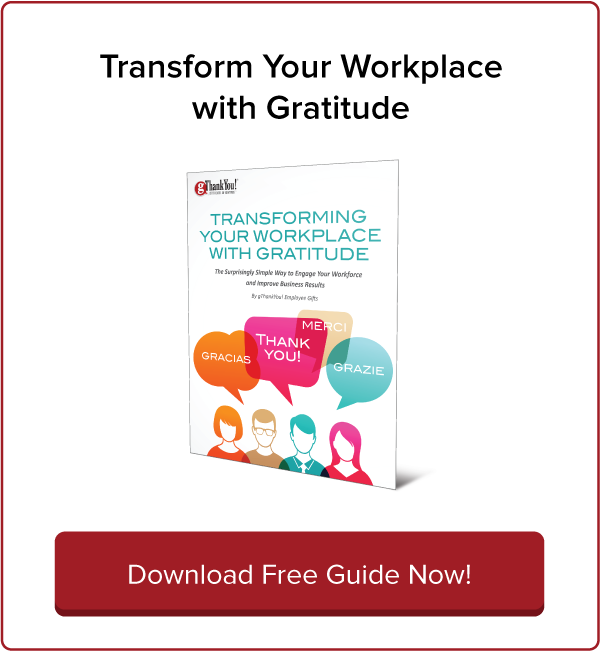 Valentine's Day in the Workplace: A New Perspective | gThankYou! A new Harvard Business Review article on “human leadership” is food for thought not only on engaging employees but on how to celebrate Valentine’s Day in the workplace. The authors of the HBR article “Why Do So Many Managers Forget They’re Human Beings?” are organizational strategists with the mindfulness-training company Potential Project. “This is truer now than ever, as millennials are becoming the majority population in most companies. Millennials are not satisfied with only a paycheck, bonus, and benefits. They want meaning, happiness, and connectedness, too,” they write. Potential Project’s organizational strategists aren’t the only ones calling for more connectedness. A kinder, more human workplace is the top workplace trend for 2018, according to Forbes contributor Dan Schawbel. When it comes to celebrating Valentine’s Day in the workplace, this new style of leader recognizes that employees are eager for more meaningful connections — and Valentine’s Day is a chance to focus on a different kind of love: the “companionate love” we feel for our coworkers, team and customers. 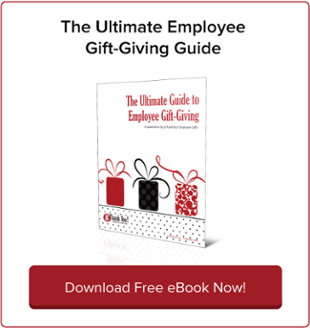 Read on for ideas on how to put the “human leadership” perspective into action on Valentine’s Day in the workplace, or any day for year-round employee engagement. In the big picture, we can see how top companies are facilitating kinder, more connected workplaces. Apple designed an innovative new facility to promote worker relationships, idea-sharing and collaboration. The new Google Cafés on the Google campus encourage interactions between employees across departments and teams. IBM recently stopped its remote-working program, pushing thousands of employees back to the office. “All three companies have found that when employees bump into each other in physical environments, it sparks creativity and relationship-building that leads to positive outcomes,” Schawbel writes. He also highlights new research that shows Gen Z and Millennials prefer in-person conversations over using technology. Face-to-face interaction is indispensable to forging partnerships and friendships, even among the always-connected generations that came of age with social media. “While technology can make us more efficient, and feel highly connected to one another, it will never replace face-to-face conversations,” Schawbel writes. But short of a major re-design or team re-organization, what can we do to promote better connections among employees? In the day to day, what small activities can we undertake to build a kinder, more compassionate and connected workplace? Be personal. Put yourself in employees’ shoes and imagine they are family members or friends. Be self-aware. When you understand yourself, you are better able to understand and empathize with the people you lead, and in turn lead for their intrinsic motivation. Be selfless. Leadership is not about you, but about the people and the organization you lead. Be compassionate. When it comes to leadership, nothing beats compassion. It is a universal language that is understood by anyone, anywhere. Make a habit of asking one simple question whenever you engage with anyone: How can I help this person have a better day? Your local doughnut shop will have Valentine’s Day-themed doughnuts to share. Keep the color theme going with bagels with strawberry cream cheese, too. Most importantly, set aside a little time for everyone to socialize while they enjoy the treats. It’s easy, it helps others and it’s a fantastic team-building activity. The Red Cross has details on how and where to donate. Hand out chocolates or candy and wish customers/clients “Happy Valentine’s Day!” It’s a chance to thank customers for their business and loyalty, with a sweet token of gratitude on the side. 5. Sponsor or host a heart-healthy event. From a lunch-hour hike to a free night at the local gym for employees and their families, an employer-sponsored Valentine’s Day heart-healthy event shifts the focus of the day to wellness and is inclusive of everyone. Hat-tip to Compensation Cafe for this suggestion! Put a “love board” up in a common area where employees can pin little Valentine “Thank You” notes to coworkers and share why they love their workplace and company. Have the CEO write a short but meaningful Thank You note to employees, wishing everyone a happy Valentine’s Day, then hand it out with little bags of candy. Better yet, choose $5 Candy Gift Certificates and let employees choose their favorite candy! And don’t forget it’s National Random Acts of Kindness Week, also known as #RAKWeek. Ideas for celebrating and participating in #RAKWeek2018 are at randomactsofkindness.org. Invigorate your employee experience planning for 2018! 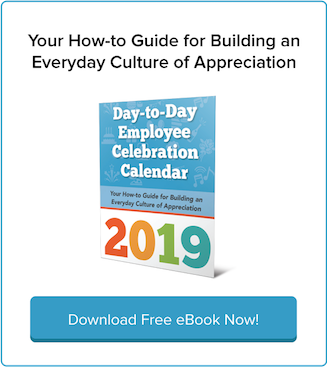 Download gThankYou’s FREE “2018 Day-to-Day Employee Celebration Calendar” today and start building an everyday culture of appreciation employees will love. We’ve updated our annual day-to-day appreciation calendar with lots of new topics, new case studies and even more holidays and reasons to celebrate! 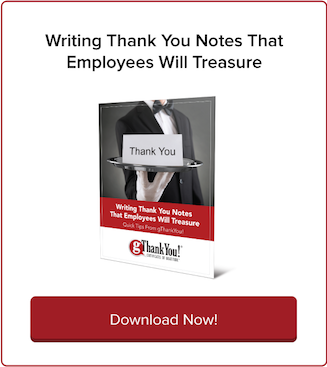 As in previous years, the gThankYou calendar is jam-packed with insights into the latest HR trends, how-to tutorials for engaging and thanking employees, case studies to inspire you, examples of holidays to celebrate each month, and research statistics to help you make the business case for appreciation. Inspire Workplace Fun this April Fool’s Day! Have A Scary-Good Workplace Halloween With Candy Gift Certificates!